Even if you can't get to Augusta you can still watch the final day of the Masters in style thanks to www.YourGolfTravel.com. Europe's fastest-growing golf travel company has put together a range of US Masters Sunday packages at more than 20 golf venues across the UK, giving golfers the perfect way to experience the climax of this year's first Major. You'll arrive on Sunday April 12 and play golf before assembling in the evening to witness the thrills and spills of the final round of the Masters unfold on the venues' big-screen TVs. This will be followed by a second round of golf the following morning. Packages start from just £65 and include two rounds of golf, one night’s accommodation with dinner and big-screen viewing of The Masters. Euan Gillon, product manager at www.YourGolfTravel.com, said: "The US Masters is widely considered as the official launch of the golf season and our packages provide an ideal opportunity to combine the climax of the event with two rounds of golf. We are delighted to offer our customers the chance to make it a truly special weekend." If watching it on TV isn't enough, you've still got the chance to see the action live at Augusta. www.YourGolfTravel.com is offering tickets to see Saturday and Sunday’s play along with three-nights’ accommodation – Friday April 10 to Monday April 13 – at the Augusta Marriott Hotel & Suites with daily transfers to and from the course. The package costs just £1,349 per person based on two people sharing a twin or double room. 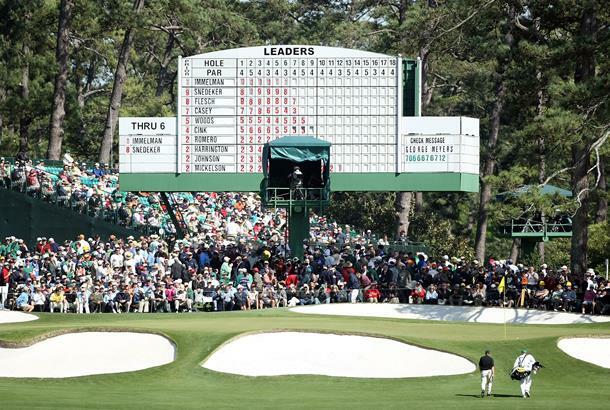 For more information on trips to The Masters or Masters Sunday packages go to www.YourGolfTravel.com or call 0800 043 6644.